What Bankruptcy Reform Is About. During the past six years, bankruptcy filings more than doubled to about 1.7 million filings last year. The bankruptcy reform movement, spearheaded by the banking and credit card industries, intensified at the height of this increase when Congress apparently decided that it was time to enact new, more stringent bankruptcy laws designed to make it more difficult for consumers to file for Chapter 7 relief. The reform movement has run a very rocky course ever since. Bankruptcy reformists, who are generally conservative, pro-business Republicans, are seeking to persuade Congress that the current bankruptcy laws have become too lenient and that a high percentage of filers are abusing the bankruptcy system because they have the ability to repay some of their debts. In general, the bankruptcy reform movement seeks to prevent a large number of consumers from filing for Chapter 7 relief, which currently enables them to eliminate their credit card debts in full. The proposed new laws require that many of these consumers file a Chapter 13 payment plan bankruptcy instead, forcing debtors to pay off a portion of their debts over a period of time. If passed, the provisions of the new reform legislation will result in the most sweeping overhaul of the Bankruptcy Code in more than twenty years. President George W. Bush has indicated a willingness to immediately sign any new bankruptcy legislation that is placed on his desk. How Consumer Bankruptcy Would Be Affected If Reform Legislation is Enacted. 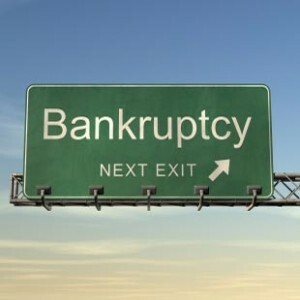 The essence of bankruptcy reform is to require consumers to meet certain minimum standards to qualify for Chapter 7 filing. For example, a consumer debtor’s income would need to be less than the state’s median income in order to qualify for Chapter 7. Also, the new legislation would disqualify consumers from Chapter 7 eligibility if they have the ability to pay at least $10,000 or 25 percent of their debts, whichever is greater, within three to five years. Another prerequisite for filing is that the consumer get credit counseling from an approved nonprofit organization. In addition, the new laws will make more consumer credit debts nondischargeable. Finally, the proposed legislation seeks to hold debtors’ attorneys liable for their clients’ conduct. Debtors’ attorneys will become responsible for conducting a reasonable investigation into the circumstances giving rise to the filing of the bankruptcy.